If you follow me on social media. 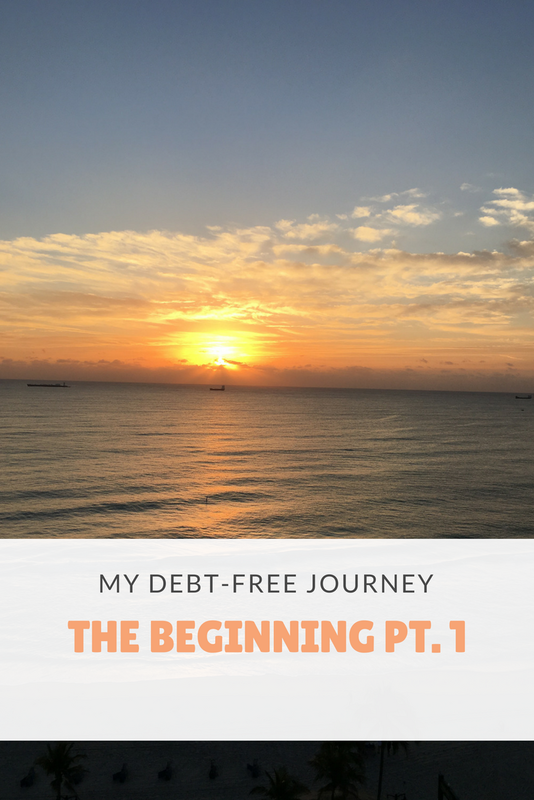 I’m pretty honest about my student loan debt and I’ve recently embarked on a debt free journey. I always feel a little weird about the topic because I take my bills serious. I’m one of those people who try to stay on top of their bills and be mindful of the items I’m purchasing. To be honest, I think that I’m frugal at heart though. Since I was a little girl I would shop the clearance racks and save the money I made from babysitting. When I became a young adult and started to live on my own. Not really sure what happened. I hated balancing my bank book. I just hated it. When I got serious about my debt free journey. I knew that it was important to really pay attention to my spending habits. What I was spending my money on. It’s also very important to know how much money you have. Thus a no-brainer for budgeting my checkbook. It wasn't an option for me anymore. It was mandatory if I wanted to be serious about this journey. When I was a young adult. I honestly didn't know how much money I had in my account. My account was always in the negative (in my early twenties prior to having a credit card). Once I ventured into having a credit card. I started to pay attention and ran into a couple of hiccups due to not knowing my wants from my needs. However, last year, I decided it was time to pay off my student loans. I don’t want to have students loans forever. I’ve been a fan of so many financial advisors like Suse Orman and Dave Ramsy for years. I’ve read several of their books and found myself eager to make better choices. However, not taking any actions. I wanted to start with the issues I was having and where my money was going. A couple of years ago, I noticed that I had a hard time telling my family NO. The money and items I was giving them really added up and I was sick and tired of it. It was money that I could put to my debt. When I started to say no more. I started to see peoples true colors. However, I didn’t care or take it personally because I was on a journey to better myself. I also started to look back and noticed that I’ve been out of graduate school for almost six years now and I haven’t made any major dents with my student loans and I honestly have no excuse. I would see the debt-free community and I would get so inspired. People making the same amount of money as me, tackling their debt, paying off student loans and even their home. Though I have a payment plan. I try my best to throw “for lack of better words” whatever money I have on my student loans. Even if it’s $10. Yes, I’ve made $10 payments. Because every little bit counts and I found that you have to tell your money where to go. But you always have to have a purpose/place for your money. If you get $200 dollars today unexpected. What are you going to do with the money? Go shopping, pay off debt, save it make a principal payment on your student loans or mortgage?” When you have no idea what you’re going to do with the money. That’s when the problem starts or at least that’s where the problems started for me. I would get money and make poor decisions with it. Let’s be honest the possibilities are endless when you're not making the right choices... Though I'm still new on this journey and I still have a lot to learn. I'm thankful for all of the motivation that has come my way and the success stories of people getting out of debt. I honestly believe it's a mindset. I told myself for so many years "oh, you're a single mother making "X" amount. You can't afford to save for retirement. etc. That's the type of mindset that gets people nowhere. I don't want that to be me, that will no longer be me. Taking small baby steps but I'm excited about this journey. 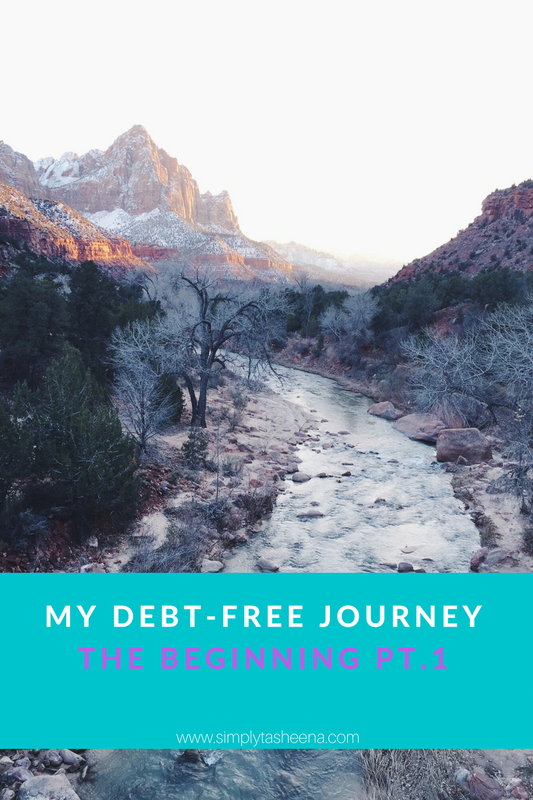 Are you currently on a debt-free journey? Thanks for sharing your story. It's not easy, but this will definitley help people. I remember when I paid off my student loan - it was one of the best days of my life. 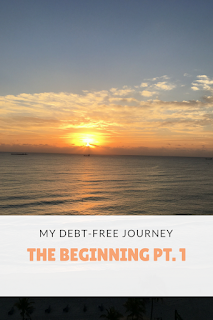 Congratulations on starting your debt-free journey! Yes, I always strive to be debt free. At the moment our only debt is the mortgage. I only use credit cards now if I can pay them off the following month. In a bit we might have to have car payments again, which will stink, but I always pay more than we need to so we can pay it off quicker. Being debt-free is a good feeling. We didn't have any credit a couple of years ago so had to pay cash or go without. I think you and I are cut from the same cloth. I do not have student loans that I have other loans that are driving me insane and I want to get rid of them. I throw money at it as much as I can. I think this is awesome to be moving towards being debt free! I struggled also in my early twenties with not really knowing what I was doing. Now that things have settled down with my husband and I we are able to tackle being more responsible and using any debt to our advantage. Paying a balance off, utilizing credit cards but paying them off. We have also committed to only purchasing a car in cash, which we did last year and it is an amazing feeling to have a car owned outright! Good luck on your journey! I am sure many people could really understand this and probably could relate to this. We will go through some problems like this and I am glad you handled it very well. I have learned the hard way too. Sharing the hard stuff like this is eye opening for others. Your story will help someone else! It's true you have to have a plan for any extra cash and it should go to a good thing like paying off debt. I am very similar to you when it comes to managing money and debts. My priority is always paying off debts. I wish I can do it instantly with mortgage though. You certainly have a good head on your shoulders. I was taught to be thrifty and my parents did me a huge favor. Keep up the good work! You can do it! We finally paid off all our student loans a few years ago and it felt amazing! It sounds like you came up with the perfect plan for you. I started out young planning out my finances because I learned from watching my parents struggle. Giving me lots of inspiration today! I need to get my debt under control, my dream would be to be completely out of debt with our house paid off. Debt free isn't easy in the short term but it opens up so many possibilities in the long term. Learning to budget and live within my means when I was younger, means I can travel now. Good for you for plugging away at it! Thank you for sharing your story, I think it is always worth sharing such times as there is likely to be someone going through similar who needs a bit of a helping hand. This is such a scary thing to have student loan debt because even if you file bankruptcy, those debts aren't wiped. It's a big reason why we pay for our children's college. It is really good to hear that you step up and decide to improve you financial situation by starting to be debt free. We really have to differentiate between needs and wants.